There are over a million apps in the Google and Apple stores and you’d think that with such choice the evolution of marketing would be complete. However it’s taken more than 4 years for the market to realize a middle ground. If you take a look at app marketing’s very brief history you will notice that it went through 3 distinct phases, and that we are currently still in the 3rd one. Each stage clearly indicates how technology advanced in a short space of time, and how mobile users stopped seeing their devices as a novelty and started using them as a tool. In the early days of app marketing Apple dominated, but following android’s explosion into the market and the availability of 3rd party apps, Apple had to reassess its objectives and strategies as the marketing playing field became more of a minefield. At first the emphasis was largely on volume and how many people could be encouraged to download a specific app, by any means necessary. This then indicated the popularity of an app but did not serve to illustrate how many people actually made use of it. At around 2011 there was a shift and app marketing not only focused on volume, it turned its attention to performance tracking and quality, and incentivized apps were recalled. 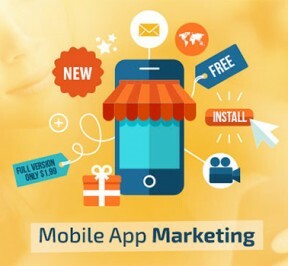 Marketing of apps then shifted focus on to how the app could offer the user an enhanced experience and the benefits offered, and rather than just simply racking up statistics, app marketing became more customer centric. It’s safe to say that recently the focus shifted once again and value and ROI became top priorities. With brands such as MobileCasino.co.nz offering apps that rivalled the online offerings, users have become accustomed to downloading programs that offer longevity. It seems that these 3 phases were spurred on not only by technological advancements but by mobile marketers realizing that if the app industry was to have staying power it needed to offer users an experience that would keep them engaged , whilst still being monetized in some form or another. Whilst many apps are free to download, users may have to pay for add-ons or additional game features, or be subjected to in-app advertising. For now it seems that the evolution of app marketing has reached a level plane, but whether it stays there remains to be seen. In a bold move to gain a larger foothold in the Apple developer market, the 3D development software giant Unity has added controller support to their latest release. The press release below indicates their continued effort to stay at the forefront of game development. The Unity website also covers various questions likely to crop up as well as outlining the relevant code snippets to include it into your games. 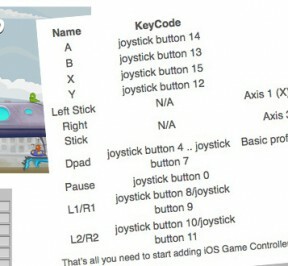 This blog post (http://blogs.unity3d.com/2013/10/11/unity-4-2-2-brings-ios-game-controller-support/) answers most common questions this addition will raise and serve as a short tutorial on how to add support for iOS Game Controllers in Unity authored games. Being a freelancer can be tough and whilst you might rock at designing and developing we can sometimes let ourselves down when it comes to organizing yourself, project management and marketing. If like me, you need all the assistance you can when it comes to getting organized then these apps are sure to help. Project management can be complicated, time consuming and expensive. Wunderkit aims to simplify the process by breaking it down into notes and tasks. First you create a project (of which there can be many) and then you can add various to-do lists and assign them to team members and set deadlines and reminders. The notes section allows team members to add their own notes, comment of the different notes on the project and ‘love’ them to show approval or appreciation. Projects can be private or shared with the world and it connects seamlessly with Twitter and Facebook. If you have many ‘ideas’ floating about this is a great app to keep them organized and the fact it has both an iPhone, iPad, Mac app and website means it’s easily accessible from wherever you are. There is a lot to see and read on the internet and whilst browser bookmarks have their uses, Evernote takes it a step further. We have all been there; we see something which could be useful in the future and we bookmark it. A few days, weeks or months later we need it and try desperately to remember the company or url (we know the gist) and even wade through our browsing history in the hope to see the obscure web address. With Evernote you can collect photos, audio clips, urls and even whole websites to pursue at your leisure and you can categorize them in ‘notebooks’ add tags for easy searching later on. The Mac app gives the user a clear user interface that even lets you take screen grabs of what you are looking at. The mobile app comes into its own when recording audio notes and the combined cloud storage means you have all your bookmarks in the ether to use as and when you please, from any device. Flipboard is my own personal industry press delivered daily to my iPad and iPhone. By connecting industry news websites, blogs and by following useful Twitter and Google feeds I can get up to date news and comments on everything that is going on in the world of design and development. It’s intuitive interface means I can flick through the pages with ease and have a magazine that not only features design stories but also updates from my family and friends in the form of Facebook posts, Flickr and Instagram images. WordPress is one of the most popular blogging platforms on the internet. It is also used more and more as a content management system for websites due to the large number of plugins and skins that are available for it. Any developer worth their salt will tell you that having a wordpress CMS has more advantages than disadvantages. One such advantage is the addition of a mobile app allowing you to manage your wordpress based websites. The app allows you to add multiple sites and users can add pages, news posts, view comments and view the websites stats. Although this is a streamlined version of the full content management system it works beautifully. Casual users can take photos and upload them directly and business users can prepare news articles or work on page content whilst out of the office. All content can then be set as a draft or published live for all to see. In a world where users jump from device to device, it is essential for all businesses in the information age to have some form of cloud storage. Personally I work on a desktop whilst in the office, a laptop when meeting clients or on-site, an iphone when on the move and an iPad when sat at home. Cloud storage allows me to have documents, spreadsheets, photos, and even video files all accessible on every device, meaning what I just wrote on the train is ready for me to complete when I get into the office. Both Dropbox and Google Drive allow you to store and view these files, however Google Drive does have an offline mode which is useful for air travel (or when on the underground). Once you start using these you will wonder why you ever saved things to your hard drive. Although this application might be more specialist to certain types of business it is still worth mentioning. Dragon Dictation is great at writing down what you say. Dragon has been at the forefront of voice recognition for years and their latest ‘free’ app gives me the freedom to just think and talk. It alleviates me of the burden of finding letters, worrying about spelling and having my fat fingers podgilly prod the wrong keys. So whether you are transcribing an article or just having a rant about some industry news, let the Dragon do the writing whilst you hold your train of thought. The interface is simple to use with just a button to press to start. Obviously it’s not perfect and may have trouble with some accents but if you are one of the ‘vocally acceptable’ few then this can be a trusted companion in business. I can’t tell you the amount of money I have saved using Skype for international calls. Not only that but it works as great instant messenger between clients and myself. Emails are great for longer messages and feedback, but when you just have a question to ask Skype is fantastic at finding out information fast. In the office we also use it to share links, send files and chat if there are other things going on in the office such as meetings or presentations. Skype has revolutionized how businesses work and so being connected to the conversations on both your desktop and mobile device is critical. Paypal for business is quite simply useful. Most big ticket items and main client payments is done through traditional invoicing and bank transfers, but if you run a small business, or just wanted to offer familiar, secure payment type for small amounts than Paypal is ideal. The mobile app gives easy access to payments in and out, and from the app you can send or request money. A simple password at login means you don’t have to worry about code generating dongles, secret pins, or waiting for the sun to be at the right place in the sky in order to access your account details. Although Paypal’s ‘cut’ is relatively high, it is a useful app to have whether you are getting something for the office on ebay or shopping on requesting payment for a small run print job for a local firm. Social networking has become a behemoth thundering into all aspects of modern life. People’s lives are on Facebook, their discussions are on Twitter, and their business networks are on Linkedin. Is its vital that in this world of conversations and recommendations that businesses not only have a presence on these networks but are actively involved with the discussions taking place. Hootsuite allows you to post to Facebook, Twitter, Foursquare and Linkedin through an easy to use message panel, as well as, browse the streams from your various social accounts. Keeping up with what is happening in these ‘social spheres’ can not only be useful but profitable. This is an ideal app if you aim to post similar information across the various networks, or if you are mainly on the move. The Pomodoro method is a technique which aims to increase your focus and in turn productivity by breaking tasks into 25 minutes of work followed by a 5 minute break. There are many apps which help you apply this method to your work, however, some tasks longer than 25 minutes. This is where 30/30 comes into its own. It is essentially a to-do list with a timer. You can create a list of tasks, assign them a time limit and then press the big ‘play’ button. Lists can be created for jobs that need repeating and you could even use it in the gym to keep your workout on track. In industries where you charge by the hour it is useful to have an app which keeps you on schedule, as it is easy to get lost in the creative process and forget the clock. You have a problem. You create a solution. You want to share it with the world via a mobile app. How the heck do you build one?! 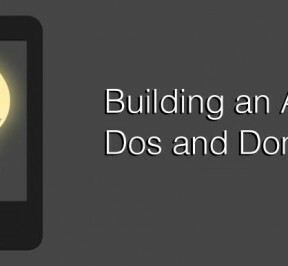 No need to fret, your friends at Fueled have compiled a quick reference of some dos and don’ts for the app building process. DO your research, and have a strategy. Not every app idea has been thought of, but a lot of them have. There is a very good chance that your idea could already exist in some capacity. Search app stores, read tech blogs, find rumor mills; due diligence can save you time that would otherwise be wasted creating something that already exists. If you complete the research and find there is a need for your app, have a strategy for how to proceed. We at Fueled take great pride in our ability to build winning strategies for apps, from concept to launch and beyond. Organizing thoughts, setting deadlines, and paying attention to details will make the app building process flow much more smoothly. DON’T forget the execution. You have your idea, done the research, and have a strategy; now what? Proper execution. Even the simplest idea can become a great app, as long as the follow-through of the plan is on point. Instead of imitating another app’s layout, enhance the best qualities and make it better. Focus on developing an intuitive UX and responsive UI. Users want apps that work well and serve their needs the instant it is downloaded. This is also where a well-thought-out strategy can come in handy as it will help create checkpoints throughout the dev process, allowing you to evaluate the progress. Ideas are a dime a dozen, execution is key. DO focus on building a product that you will use. If you have no interest in or don’t have a use for your own product, you will likely end up with an inferior result. Having a passion for your design and function will show and be important to investors and consumers. Additionally, constantly test any assumptions you have throughout the design and dev process. Updated layouts, additional functions, anything you think will improve the app overall is worth a test because you can always go back to the way it was. This process will ensure that you are building an end product that makes sense and has value to users. DON’T rush your launch. Everyone is excited about their product and wants to launch as soon as possible. However, here are many reasons why you shouldn’t do this. For starters, it takes time to build a quality app. No matter how simple it may seem, design, development, and testing all take time. Even when the app is completed, work must be done to properly market the product prior to the launch. You will want to build media relationships if you do not already have them, launch a website, and build a buzz around the product. Weeks are not enough. Months of planning, organizing, and action are needed in order to have a successful launch. DO take the time to test. Simply having a couple of your friends play with the app does not count as testing. Friends and family are not your target market, they will download your app simply because they love you and want to help out. Seek out agencies or other professionals in order to get useful feedback. Outside testers are potential consumers, they should be using your app. The goal is to gather constructive criticism, opinions, and relevant data that will allow you to make little tweaks based on user feedback during beta before your big app store launch. DON’T think it’s done just because it’s in the App Store. Being in an app store simply means your app is accessible, not that people will be able to easily find it. An app store optimization strategy will be needed to increase visibility. This should be a big part of the strategy. Additionally, the app will likely have some bugs, need to adjust to user complaints, and have new feature introduced at times. Updating too frequently is not necessary, but no app is ever complete at version 1.0. DO make sure you work with the right partner. Whether it is a friend, a freelancer, or a shop like Fueled. Depending on your goals, it may make sense to partner with different people. Typically for a prototype, working with a freelancer may make sense so you can demonstrate proof of concept before investing in really polished design and high caliber development which will serve as the foundation of your product after its commercial launch. Written with love by the editorial team at Fueled, a premier Android app design agency in New York City. If you’ve already achieve your Junos JNCIA certification, which is the Juniper Networks Certified Internet Associate (JNCIA-Junos) credential, then you may be ready to further your professional development in the internet security discipline by achieving specialist level certification through Juniper Networks. If you haven’t already earned your JNCIA-Junos certification, you’ll need to do so before proceeding on to the specialist level exam, which is the JN0-332. The associate level credential is a prerequisite for testing at the specialist level and above. The JN0-332 exam is administered by Pearson VUE and 90 minutes in total are allotted for completion of the test. There are 70 multiple choice questions on the exam, which means you’ll need to have a mastery of the materials to progress through the exam at the appropriate speed and to achieve a passing score. Exam preparation is the key to success on the JN0-332 exam, or any other professional certification test for that matter. 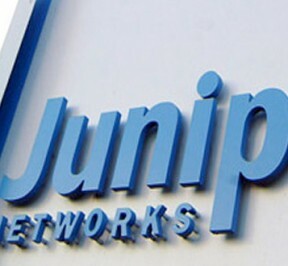 Prep activities recommended by Juniper Networks include formal course, like Junos for Security Platforms and Junos Unified Threat Management, as well as self study, attainment of hands on experience in internet Security utilizing Junos, and the use of practice exams, like those offered by providers like TestsHead.com, for example. Juniper Networks also offers a practice exam for the JN0-332, though it doesn’t offer the dynamic learning experience as is found with test engines, like those found with TestsHead.com and other online exam prep services. Once you’ve passed your JN0-332 and earned your associated Security Specialist (JNCIS) certification, you’ll want to keep your credential valid by undergoing recertification every two years. To achieve recertification at the end of the credential cycle, you simply need to retake and pass the JN0-332 in its most recent release version. So you finally got rid of your Nokia 3210 (which was on a cheap contract), let your Sony Ericsson meet its maker (that had a great camera on) and joined the 21st century by getting a smartphone. Welcome to the gaming revolution! Today, you don’t need to have a computer or a video game console to enjoy great gaming entertainment. 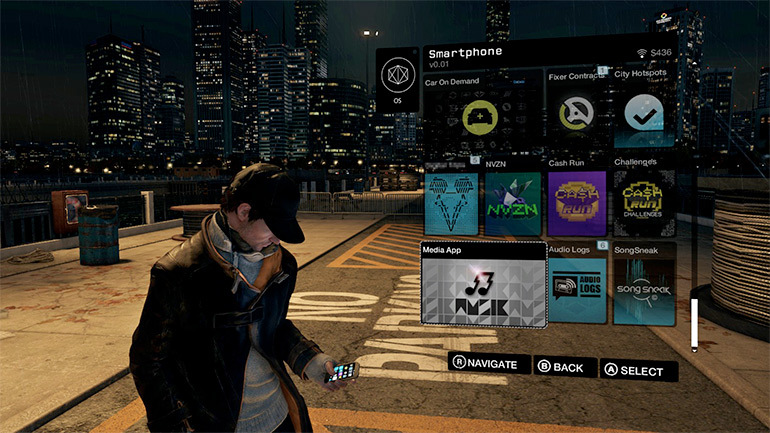 If you have a smartphone, there are tons of game apps that you can download and enjoy. At your convenience and on the go, you can play a wide range of topnotch mobile games that are incredibly fun and exciting. So where do you start when choosing your first games? 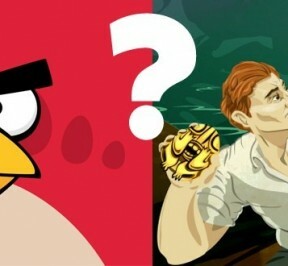 Two of the most popular games that are easy to play, are free, and are hugely addictive are Angry Birds and Temple Run. 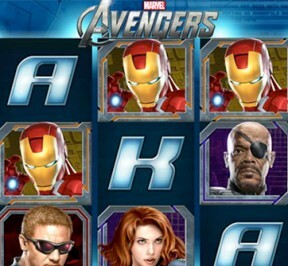 Both games are available for Android, iOS, and Windows Phone operating systems. Angry Birds and Temple Run have been very successful and popular since their initial releases. This has not only lead to sequels and spinoffs for both game franchises, but also combined license games, such as Angry Birds Rio, which is based on “Rio”, the animated film from 20th Century Fox, and Angry Birds Star Wars, which focuses on the original Star Wars trilogy. Likewise, Temple Run also has its popular combined license spinoffs including Temple Run: Brave, based on the Disney movie “Brave”, and Temple Run: OZ, which is based on another Disney movie “Oz: The Great and Powerful”. In addition to these two popular game series, other fun games for smart-phones include: Doodle Jump, Fruit Ninja, Bejeweled 2, Words with Friends, Tiny Tower, Bubble Shooter, Slice It, Mega Jump, Cut the Rope, Tetris, and several other new and classic games. So now you have taken those tentative steps into mobile gaming, why not join the indie gaming revolution too and create your own games? If you are interesting in game development and monitizing those games you may find that appnext mobile web development ad tools can help grow your user base, allowing you to make your app successful without you having to spend a fortune on your advertising campaign. Smart targeting and other unique promotion tools make it easy for application developers to find success with their smartphone mobile game apps. Game Engines are an important element for game developers. It eliminates many of the technicalities involved in developing a game and offers game developers the flexibility to focus on building the game. 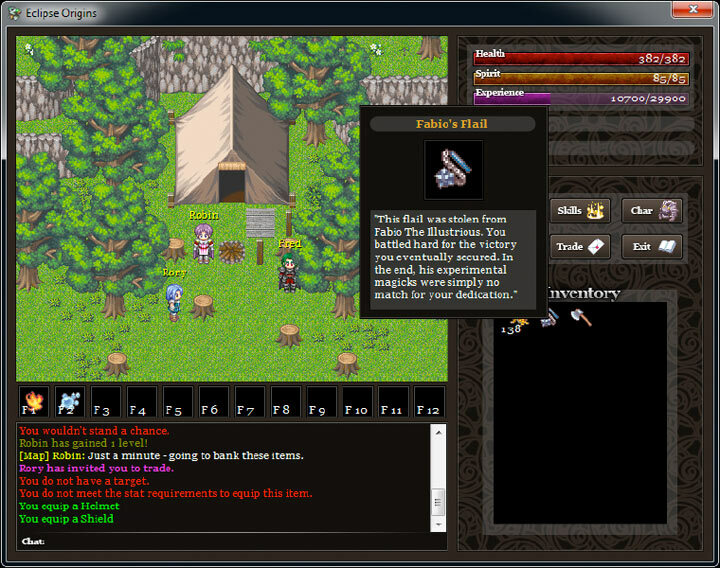 A game engine typically offers wide range of time saving tools for game building. If you are a beginner or a professional developer these top 10 Game development engines will serve as a guide for you to choose the best game engine for your gaming needs. The GameSalad development suite makes game building simple and easy. You don’t need to wade through complex codes to develop a game. The GameSalad features check boxes, dropdowns and the oddlist similar to features you will see when using utility software like Photoshop. GameSalad can be published to multiple platforms like the Mac or iPhone as well as to devices using the Android platform like the Nook. 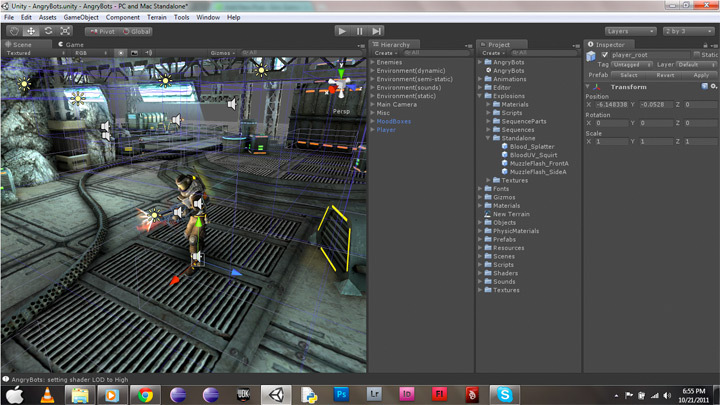 The game engine has a real-time editing feature enabling scenes to be edited while the game is in play. The game preview feature allows the testing and debugging of memory usage and performance of games. The scene editor makes it super easy to manipulate actors in a scene. All you need to do is to drag and drop actors to alter how they are visualized in a scene. 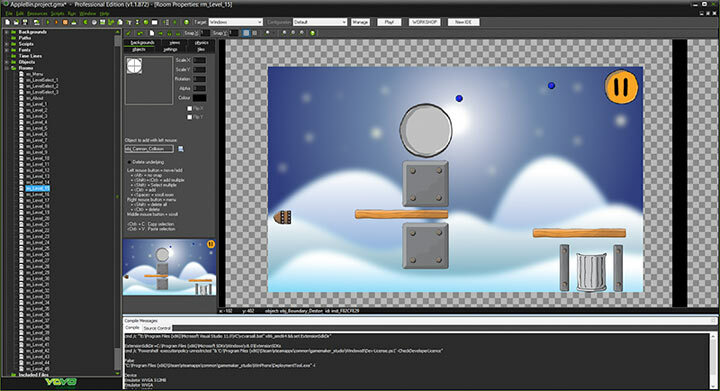 The Torque 2D features a powerful and user friendly 2D game engine. It offers a lot of the features of the 3D game engine which is custom-made for 2D gameplay. This game engine can be published to Mac, Windows, Xbox 360, Wii and the iPhone. The Torque 2 D’s intuitive and powerful editor makes game creation simple and easy, making it is ideal for individuals with little or no experience. 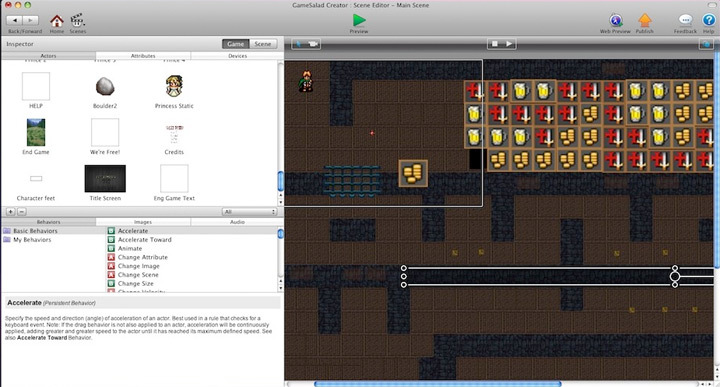 The Level Editor features a host of WYSIWYG tools for game designing and editing. The Level Editor is built into the Torque runtime and offers complete access to the entire Torque subsystem. The powerful rendering of the Torque 2D is great for achieving an excellent artistic style. This is a game engine that can be used to create 2D video games for the web, mobile devices and computers.. Stencyl has extensive platform support. Games built in Stencyl can be released to the web through the Adobe Flash Player and HTML5, to PCs as executable games and can also be exported to various mobile platforms like Android and iOS applications. Stencyl projects use the Haxe programming language and offers flexibility via the NME game framework by using the write once, run anywhere style of game development. 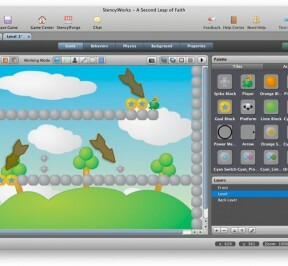 The Stencyl application has several modules that can be utilized to create games. 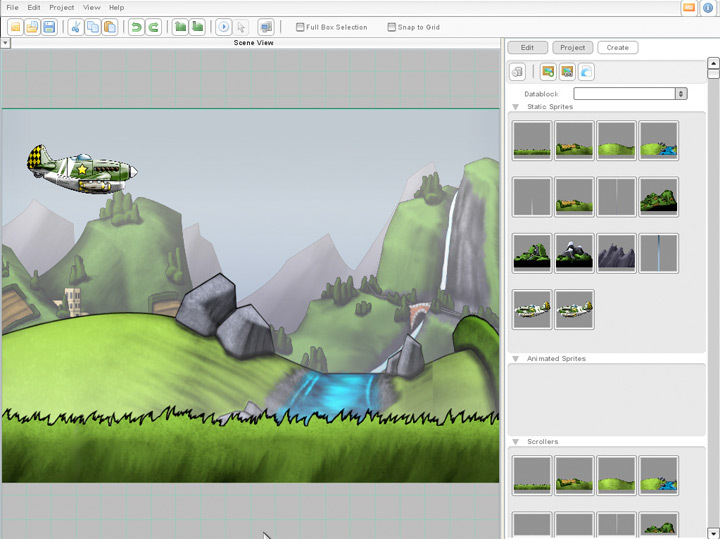 These include the Behavior Editor, Tileset Editor, Actor Editor as well as the Scene Designer. Power users are able to import existing code libraries, create and share their own blocks and create customized classes that seamlessly interact with block based behaviors. This is a suite of Python modules designed for game creation. 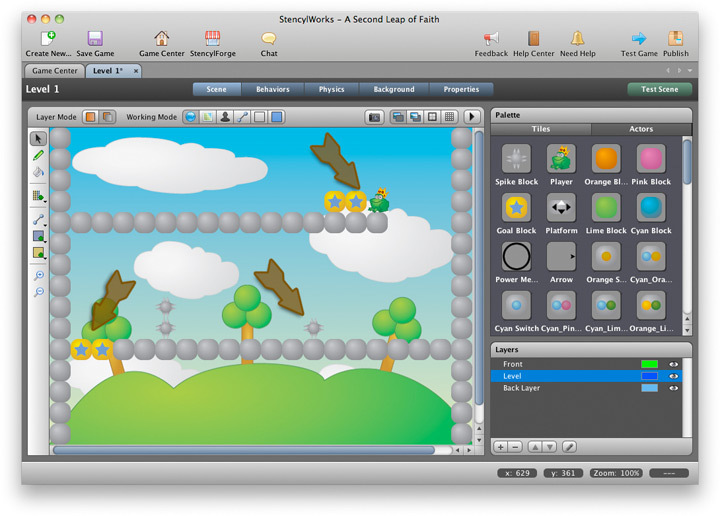 With its functionality and excellent SDL library, pygame enables the creation of fully featured games in the python language. This software is free and allows you to create free open source. It has an inbuilt sillness that makes game creation fun. It does not require an open GL and uses either directx, windib, X11 in addition to various backends. The Multi Core CPUs can easily be utilized. Pygame is compatible with many operating systems and does not require set up tools or ctypes for installation and its simple and easy to use. Corona is a robust game engine that features industry standard technologies including Lua, OpenAL and OpenGL. The Corona comes with the Box2D physics engine, Game Center, Facebook Connect and sprite sheets. With the Corona you can access a wide array of features you will need to create an exciting mobile game. You can easily monetize games via advertising and app purchasing. The Corona can be used on the various platforms including iOS, Kindle Fire, Android and NOOK. Games can easily be built with a single codebase and eliminates the complexities involved in game creation. The Corona SDK starter offers free building and publishing of apps for users. 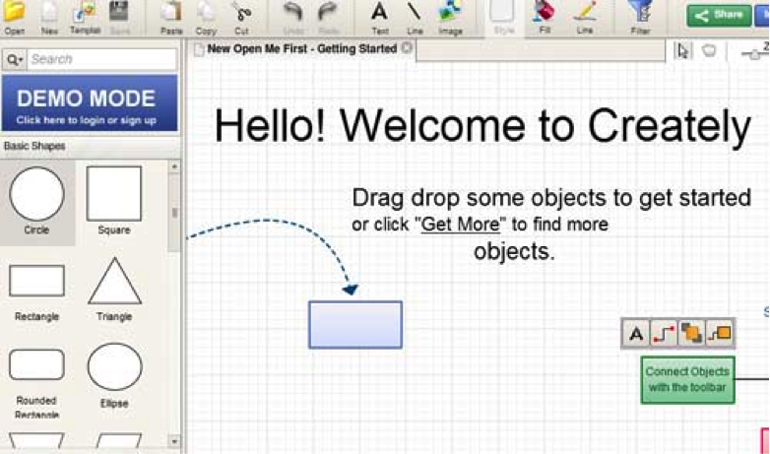 This game engine offers a user friendly, flexible fast to write programming language. GL Basic offers the easiest and most intuitive programming language available making it ideal for writing high performance programs. 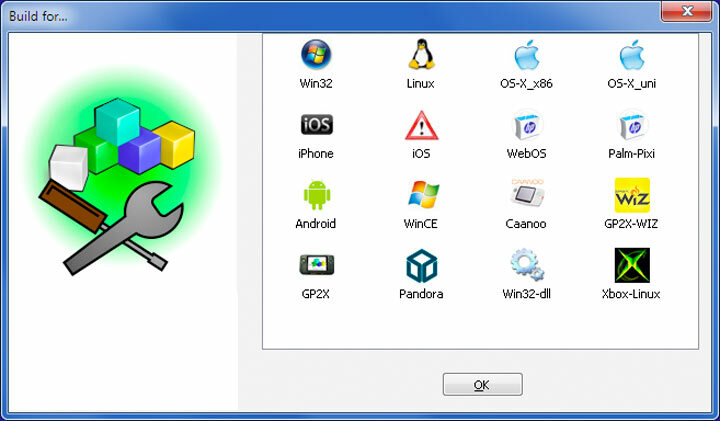 No need to change the source code when starting your Linux, iPhone development GP2X/Wiz and PocketPC after writing a program, allowing users to concentrate on essentials when building games. 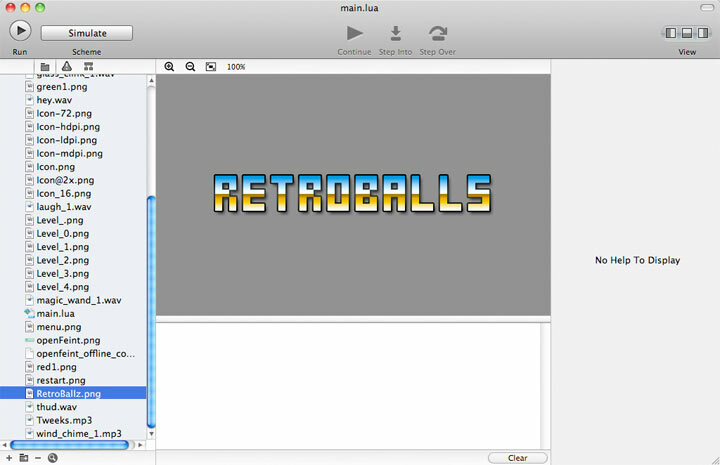 GL Basic game engine is free for personal projects on Linux, Windows and Mac OSX. It is ideal for beginners who want to learn programming as a hobby. 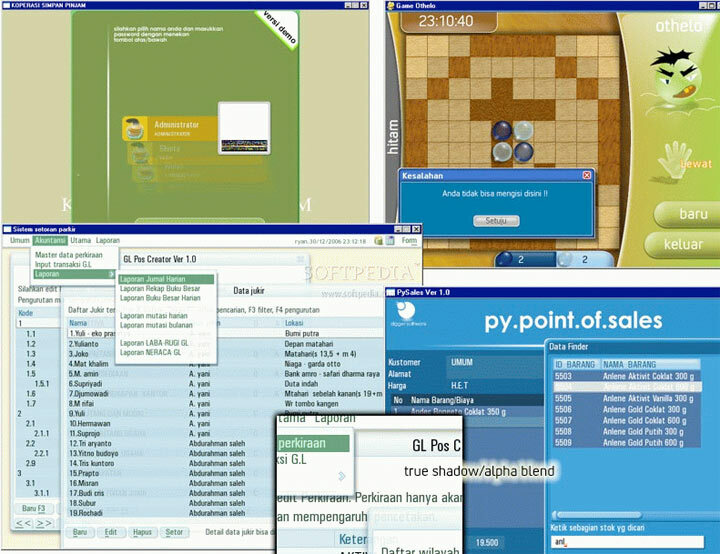 Eclipse is a 2D game software based on the FMOD and SDL programming making it ideal for usage across different platforms. This game engine is easy to use and takes care of all the tedious tasks, enabling game developers to focus on other areas during the creation of the game. The RPG Maker VX features a simple operation that offers game builders the flexibility to create original role playing games with little or no expertise, making it an excellent game engine for beginner developers. The software comes with pre-made features so there is no need to learn the code. Simply build a game by pointing and clicking while adding a little creativity. With more and more people creating both personal and commercial websites it makes sense that web design wireframe tools are on the rise. Rather than using desktop versions of these applications, many website prototyping tools are now cloud based; meaning that they can be accessed via a web browser, shared online and updated by multiple users. 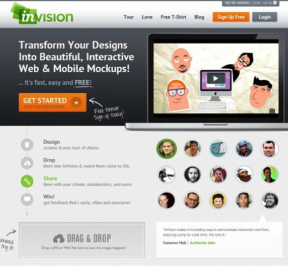 Here are the top 10 cloud-based website prototyping tools currently available for use online. Cacoo is an ideal website prototyping tool if you find yourself working with developers all over the world, as it currently supports more than twenty languages. As well as being multilingual, Cacoo also supports real time collaboration; enabling multiple parties to work simultaneously on different aspects of your site. While your SEO guy is using Cacoo to craft your copy, your web designer can also apply the finishing touches to your layout and graphics. Users have the option to make projects private or public, and public projects support comments from non participating users; giving you access to feedback on your new site before it even goes live. Genius! Like Cacoo, Creately also supports real-time collaboration; however, it only supports seven languages. Creately offer both an online version of their application as well as a desktop version (suitable for Windows, Mac and Linux systems), and the desktop version will sync with the cloud once an internet connection is established. The brains behind Gliffy claim that it is ‘the most widely used online diagramming application’; and while this may be true, Gliffy lacks features that other apps listed here offer. For example, although Gliffy can support a variety of different diagrams and it will allow multiple users to have access to a single project, it does not support real time collaboration. However, Gliffy handles undoing changes more smoothly than its competitors. Every time a change is made to a project the last version is saved and archived. Should a collaborator make a change that you are not happy with it is very easy to reinstate one of the previous wireframe designs. 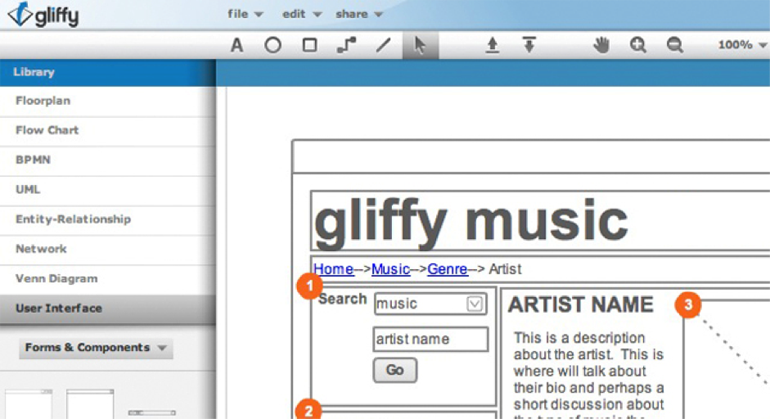 Gliffy also integrates with a number of third party applications including Google Apps and WordPress, and it also has its own API. 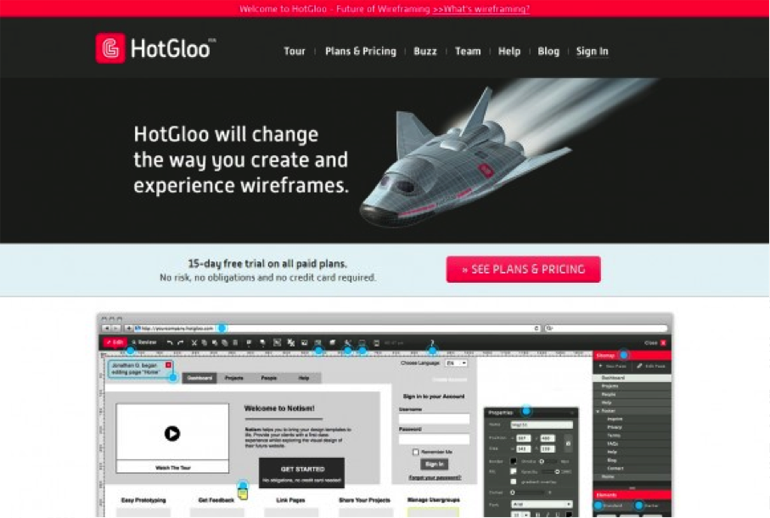 HotGloo claims that it will ‘change the way you create and experience wireframes’, and it can certainly be said that this slick interface includes features that other website prototyping tools do not offer, such as an integrated chat feature; allowing all participants to discuss the project while drafting the wireframe and layout designs. Like many competitor products, HotGloo supports real-time collaboration, making it easy for multiple members to work on a single project. 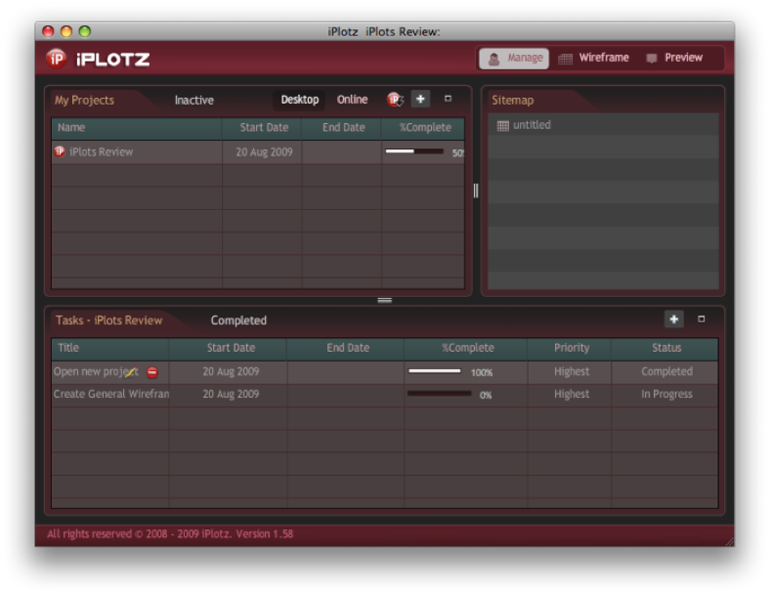 iPlotz is an unusual tool in the sense that it does not have a standard user setup. Instead, iPlotz offers three access levels; preview, wireframe and manage. 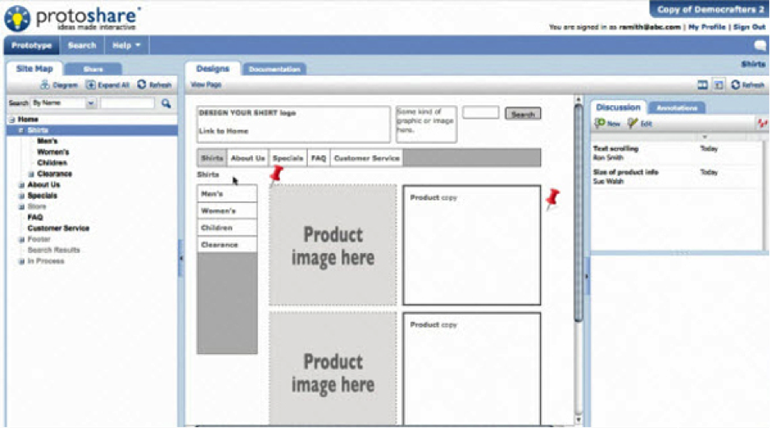 Preview users can access the site for free, and they can look at wireframes but they cannot modify them. Wireframe users can obviously modify a wireframe, but they have to pay for the privilege. Finally, manage users can add and remove other users, and they can also manage user permissions. iPlotz also supports a desktop version, which like Creately will sync with the cloud version when ‘Online Mode’ is selected. Invision is a great tool for the non geeks; for those who perhaps want to create their own personal website or a small business website. You don’t need technical knowhow to manipulate the drag and drop interface within Invision. If you are a developer, you can still find Invision useful. Its user management features make it easy for you to only provide access where it is needed, and Invision gracefully handles any dialogue between developer, collaborator and client within the application. 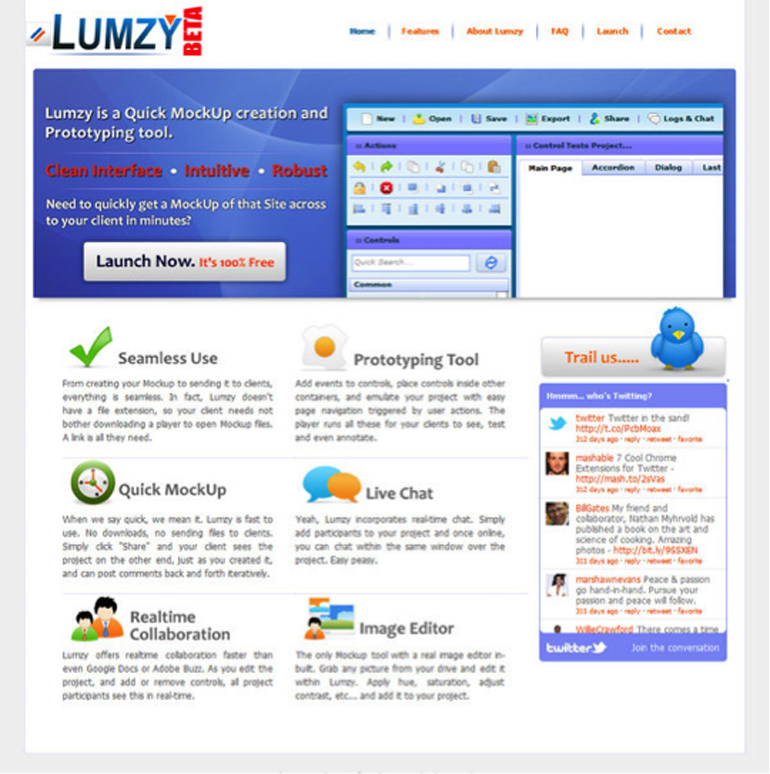 Lumzy may be a very young website prototyping tool, but it is quickly making waves with users and developers alike. For a start Lumzy offers an integrated image editor that allows users to perform simple image adjustments, such as cropping and resizing. It also offers real-time chat functionality, much like HotGloo. Lumzy also offers features that can be considered advanced website prototyping, allowing developers to demonstrate more complex interactions compared to other wireframe tools. 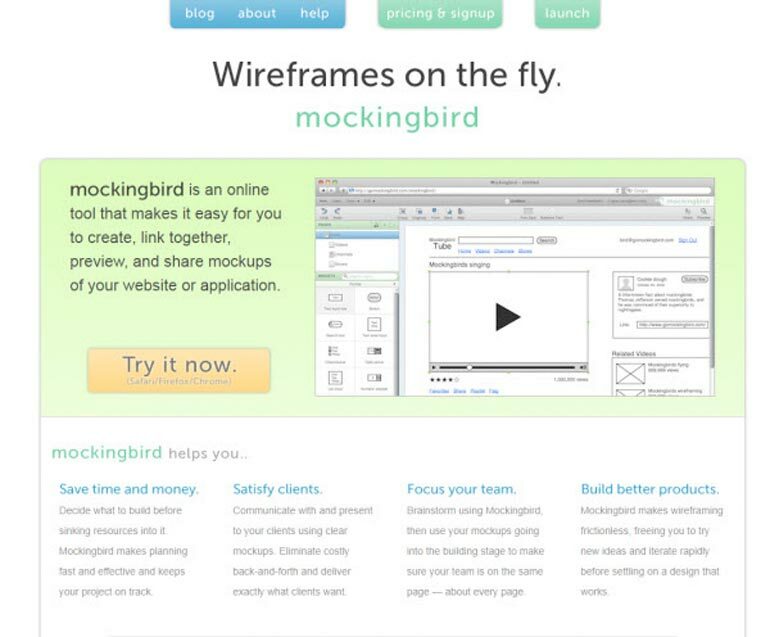 Mockingbird is one of the few Flash based website prototyping tools on the market. While this is great for Windows systems, it’s unlikely to be so great for Apple based devices. However, like so many of its competitors, Mockingbird does offer real time collaboration, and wireframes can be exported to PDF for use outside of the internet. 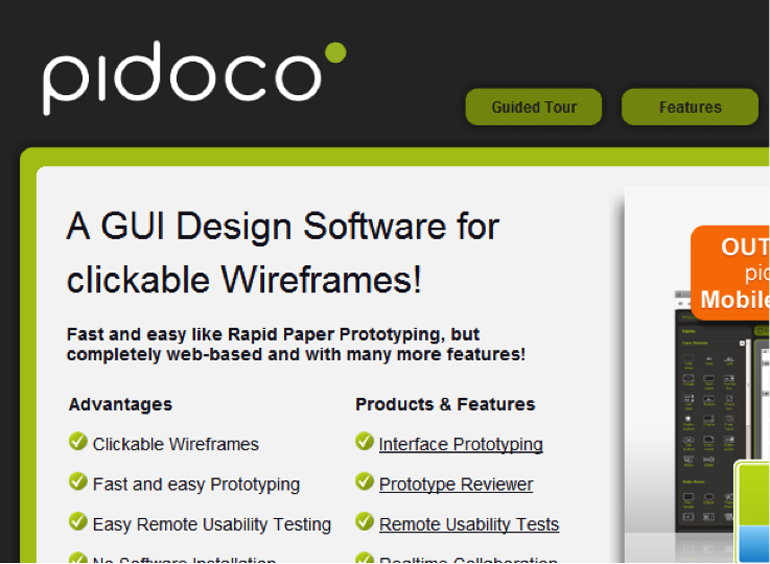 Pidoco focuses its features more on the testing of prototype websites, rather than the developing of them. However, the features it does offer for the testing and debugging processes are invaluable. For example, developers can record testing sessions and they can see the user’s screen. Developers can also use the integrated chat facility or the VoIP feature to communicate with clients and testers real-time. Perhaps one of the most difficult aspects of website prototyping is trying to represent graphical elements with a simple diagram. Anyone unfamiliar with what the web is capable of may struggle to envision what it is you are trying to portray. 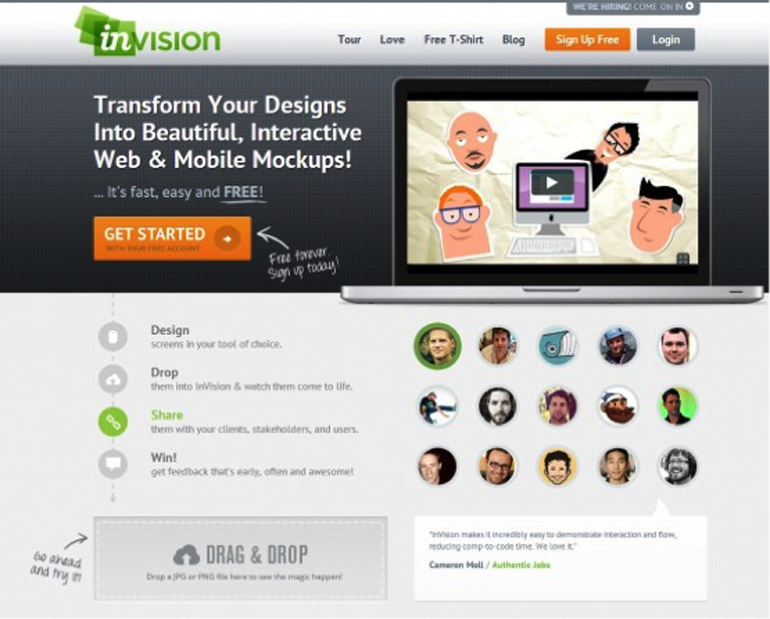 However, ProtoShare may be the website prototyping tool for you. ProtoShare supports the use of CSS and JS, enabling developers to demonstrate custom components and complex interactions. Another awesome feature that ProtoShare supports is the quick and easy conversion of onsite comments into actionable tasks, which can greatly speed up the development, debugging and project management processes. Related articles 10 Wireframing Tools for Increased Productivity 20 Excellent Wireframing Tools for Mobile Site9 Releases ProtoShare 8: Faster, Easier, User Interface Prototyping What It Takes To Get Remarkable Content Done UX Online Wireframing and Prototyping tools COMPARED! Balancing work, family, hobbies and personal health is a constant conundrum in life. What should be your first priority? 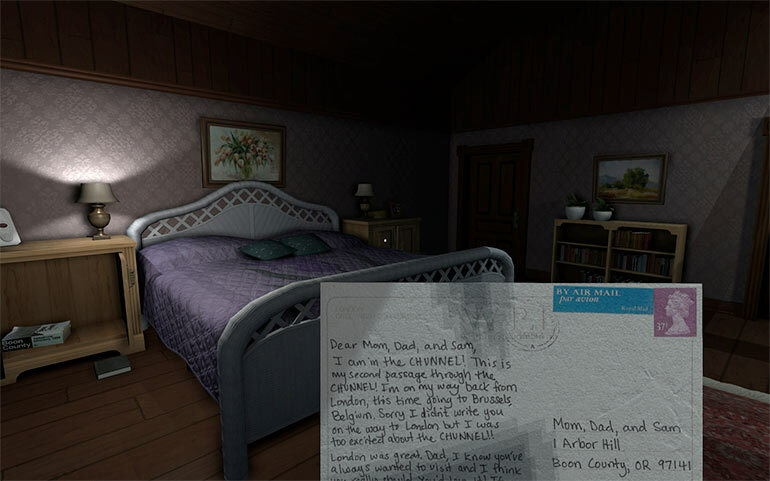 Your job is obviously quite important so that you can provide for your family, but your partner and children require a certain amount of love and attention too.Here are a few tips on how to stay on top of things as a game developer trying to raise a healthy family. This can actually help you in all aspects of your life. If you are working on a tight schedule and partner asks you to pick up the kids from school every day, you need to kindly remind her that you have a serious amount of work to get done and need to concentrate for several hours on end. Just say no, I can’t do that right now. If you are the only person that can pick the kids up, consider creating a schedule for both you and your partner to adhere to. Perhaps you watch them for a few hours after school and start dinner, but after that are allowed a few hours of alone time to finish your work. If you aren’t working from home, learn to say no to a boss that asks you to stay late multiple times a week. Suggest working from home if you have the time, will get paid overtime, and really have excessive amounts of work that need to be completed. 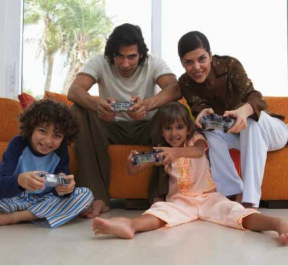 Although it may be tempting to keep games on for your children to play at all hours of the night (especially if they won’t be distracting you), you should set strict rules as to watch time all technology should be turned off in your house. This will not only help your kids mellow out sooner, but it will help you get to bed faster since they will already be relaxed. Be a good example to your kids by stopping your emails at a reasonable hour and turning off your own personal cell phone or even the television by 10 pm. If you are following the rules, the kids are more likely to follow suit. A hobby can mean anything from exercising a few times a week, to going out and playing your guitar with friends. Either way, find something that takes your mind off both work and family. It is important to distract yourself sometimes and de-stress by yourself. This ensures you will be the best family-oriented person you can be upon returning to your family. If you don’t think you need time away from your family, incorporate them into your hobby. Maybe you’d like to make Friday game nights and use that as a sneaky excuse to have your family members test out the newest game you’ve developed. Find out if you can work completely remotely or if your boss will consider allowing you to work from home 2-3 times a week. Many companies allow their computer engineers and techs to work from home simply because they can. Working from home can save you several hours a week commuting and may even allow you to get more work done than you otherwise would if you had to drive to the office and sit in traffic. 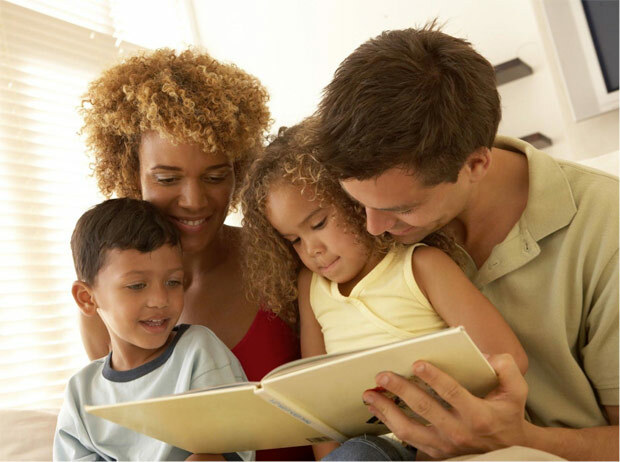 With the advice above you will be better equipped to balance your work and family life. Do what you can and make the changes you need based on what your family is asking of you. Try to prioritize things and de-stress in your own way when you need to.